Ten easy free tips on how to increase hand warmth naturally, from Sound Feelings. We offer this free cold hands information as self-improvement remedies and secrets to help bad circulation, shallow breathing and stress. These symptoms are known factors of freezing cold hands. 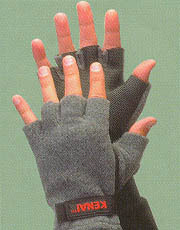 Instead of the typical coping techniques of mittens and gloves, unique solutions are suggested. These include physical therapy, nutritional supplements, relaxation and affirmations. Say goodbye to freezing hands! The following tips are intended for pianists but are applicable to anyone. Heatbandstm are the BEST handwarmers. They work by trapping a layer of still air between the material and the skin while reflecting heat back to the wearer. This helps keep the blood flowing into the fingers warm. They do not need batteries or an electricity supply. 1 Keep Your Neck and Wrists Covered. Primary blood vessels come close to the surface of the skin in the neck and wrists. If you keep these areas protected from the air, less heat will escape and will help prevent cold hands. tight clothing, smoking, drafts, the wrong calcium supplements and margarine. Tight clothing restricts the blood flow into the extremities. Smoking, of course is known to clog arteries. Drafts affect people sensitive to cold much worse than others. Dolomite or “elemental calcium” can clog blood vessels. “Organic” calcium like bone meal or oyster shell does not do this. Margarine, contrary to popular belief, cannot be absorbed or digested easily into the body. As a result it tends to leave a residue in the arteries which can cause arteriosclerosis, resulting in poor circulation. Also, never eat “hydrogenated vegetable oil” which is the same thing as margarine! 3 Use Exercise or Physical Therapy. Three exercise movements are helpful. (A) While you are standing, rotate the shoulders forward, up and back in a circular motion for about 30 seconds. (B) Rotate the wrists in both directions for a total of 30 seconds. (C) Make a fist without digging the nails into your palm. (The final joint of your fingers is not bent.) Alternatively tense and relax the hands in this position for about 30 seconds. All of the following supplements are known to be helpful to improve circulation and cold hands. Many of them complement one another because they work in different ways. You can find many of the items in health food stores : ginger, fennel, cayenne, potassium, niacin, iron, vitamin B, vitamin C, vitamin E, lecithin, Ginkgo Biloba, apple cider vinegar, distilled water, lemon juice in hot distilled water. (Lemon juice in hot distilled water will have an amazing effect on cleansing your liver which is the “heat producer” for your body.) Also if you’re trying to avoid meat for whatever reason, this could be contributing to the problem! Some people just need to eat meat once in a while. Don’t be fanatical. Please allow about 30 days to see if any dietary changes have helped the situation. Also, most people develop a lining of old “mucoid plaque” in their intestines. People who have cold hands tend to have more of this layer than others. The supplements that you want to absorb through your small intestine cannot be absorbed very well if you have this layer of old material. You will see a direct connection in your hand warmth and the removal of old mucoid plaque in your intestines. Here’s what you can do about it. Herb teas that are warming: sarsparilla root, fenugreek. The most extreme fear response is called the “fight or flight syndrome.” This is when our adrenal glands produce adrenaline and our physical reactions change. These physical symptoms include cold hands, sweaty or shaky hands, rapid heart beat, shallow breathing, disorientation, misperception of time, upset stomach, dry mouth, memory lapse and others. This response is named for our reaction to a predator at our cave door during our supposed prehistoric days, to fight or to flee the danger. The adrenaline is nature’s way of giving us the extra quickness of mind and body to make a life or death decision very fast. The down side is that this leaves the body somewhat worn out and tense. Some sensitive people have a tendency to live their whole life in a quasi-fear state so that they are always walking around feeling anxious. As a result, they are constantly experiencing subtle aspects of the fight or flight symptoms, even though they are not conscious of any impending danger. It almost becomes a habit or an addiction. This person’s personality is what one might call a “fear personality.” The solution is to gradually lessen or remove the fear. There are many methods of reducing fear, including psychotherapy, hypnosis, affirmations or plain old willpower. People with cold hands tend to breathe shallow. Be aware of your breath and occasionally practice deep breathing. Eventually this will become automatic so that you won’t have to think about it. Consider this: the more deeply you breathe, the more oxygen you bring into your system. This oxygen is transferred from the lungs into the bloodstream and it is responsible for the transfer of heat throughout the body. The more oxygen you receive, the warmer you will be. Affirmations are a way to actually reprogram your subconscious mind. Believe it or not, saying “I have warm hands” to yourself can have a profound effect, if you do it right. First of all, create the statement so that it makes sense to you. (“My hands are warm, Heat comes from my hands, I embrace life with abandon, etc.”) Affirmations only work when you engage your emotions. You must be in a joyful state and you must believe it. If you have doubt or you are negative, it won’t work. Some people repeatedly say or write affirmations in the morning, evening, or at various times throughout the day. Because affirmations are a tool to create a new reality, do not get discouraged while you are currently playing out your previously-created reality. Allow for an overlap of realities with patience. Here is great info on how to make affirmations actually work. Many people have a healthy stress response. After the stressful event, they move on. But most of us tend to develop cumulative stress that builds and builds. This cumulative stress affects each person differently. Every illness in the world can be attributed to stress. Sometimes the tension is felt literally in the muscles of the body which has a sympathetic influence on the blood vessels. In other words, they constrict over time. With stress reduction techniques, the blood vessels can dilate back to their correct size. There are many different methods of stress reduction. Do some research and find one that seems suitable to your lifestyle. Although it may sound weird to most people, consider going to a chiropractor. Even if you don’t have back pain, your spine may be out of alignment, which can affect the proper functioning of your liver and other internal organs, because the spinal cord provides the neural nourishment to each organ. Your liver, among other things, is kind of like the ”heat producer” for the body. Think of watering your plants with a hose and the hose becomes kinked and the water won’t come out. That is what could be happening with your liver and it is not working right, as if someone turned off the switch. A chiropractor can detect this and set it right in one visit. 10 In the Meantime, Do Whatever is Necessary. Until the above suggestions provide a more permanent solution to cold hands, you still should do what it takes to keep your hands warm. This could include the obvious gloves and mittens to the less obvious warming creams, glove warmers and other devices. Also, before you need to play the piano try immersing your hands and forearms into the sink filled with warm water for one minute. Best wishes to you and keep me posted on your success! These tips were prepared by pianist/teacher Howard Richman and are offered for free as a courtesy. To complement your goal towards increased hand warmth, you will find his Music for Stress-Release to be a powerful tool. 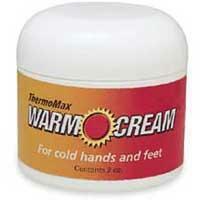 ThermoMax Warm Cream warms up cold hands and feet in just 10 minutes. How? This wonderful warming cream contains the amino acid L-arginine which stimulates circulation by naturally relaxing blood vessels. Our fingers and toes feel toasty warm and our skin soaks up the aloe and vitamins A and D. 2 oz. jar. Hand Warmers by Grabber Mycoal. INSTANT HEAT that lasts 5 hours or more. Clean, Safe, Odorless, Dry & Non-Toxic Heat Source. Just open package and expose to air. Two warmers to a package. Good to have ready in an emergency. Designed to fit in gloves and pockets. Operates at an average temperature of 135°. 100% guaranteed for effectiveness. They operate on a chemical reaction with air that is similar to rusting. The ingredients are: iron, water, cellulose, vermiculite, activated carbon and salt. The heating process takes place in this fashion: The iron in the pouch, when exposed to oxygen, oxidizes and therefore produces heat. When iron oxidizes it produces iron oxide, more commonly referred to as rust. The salt acts as a catalyst. The carbon helps disperse the heat. The vermiculite is used as an insulator for the purpose of retaining heat and the cellulose is added as a filler. All these ingredients are surrounded by a polypropylene bag. Polypropylene allows air to permeate the ingredients while holding in moisture. The best selection of neoprene and neoprene/fleece gloves designed to keep hands warm and maintain dexterity. Encapsulated Ginger root with a guaranteed natural potency of 1.5% essential oil, mainly gingerol and shogaol. Ginger root eases the discomfort associated with travel and stimulates digestion to promote gastrointestinal comfort. Ginger (Zingber Officinalis) is a carmative herb suggested for gastrointestinal upsets, nausea, motion sickness, colds & flu, indigestion, gas, muscle pains, menstrual pain, colon disorders, hepatic complaints, rheumatic and circulatory complaints. Stress B-Complex formula helps maintain the health of nerves, skin, eyes, hair, mouth and healthy muscle tone in the gastrointestinal tract. B vitamins are co-enzymes involved in energy production, useful for stress, depression and anxiety. No vitamin routine should be without antioxidant protection offered by Vitamin C. Vitamin C in a daily supplement regimen offers powerful protection against free radical damage, helps keep capillary walls and blood vessels strong, and supports healthy teeth, gums, and bones. Because Vitamin C is water-soluble, it needs to be replenished on a daily basis. A powerful fat-soluble antioxidant, Vitamin E scavenges free radicals protecting cells from oxidative damage. When combined with a healthy diet and lifestyle,Vitamin E supplements can help neutralize excess free radicals to promote heart health. Research indicates natural Vitamin E to be more potent than synthetic forms. Ginko Biloba is most commonly known for being a stimulant of the brain and is often used for age related memory loss and severe conditions such as Alzheimers disease, severely affecting memory and the brain. Studies have shown that Ginko can improve circulation, decreasing the risk of blood clots. Ginko has also been found to relieve fluid retention and minimize breast pain for women experiencing symptoms of PMS. The standard dosage of ginko is 40-80 milligrams standardized. Ginkgo Biloba is the oldest species of tree and has been shown to live for 1,000 years. Currently Ginko is the most widely prescribed herb in Germany.Ginkgo Biloba, contains two groups of active components; flavone glycosides (unique bioflavonoids) and terpene lactones. The flavone glycosides help protect against oxidative damage to the brain, and support memory function. The terpene lactones assist in promoting healthy circulation and healthy nerve cells.Our Ginkgo Biloba conforms to dosage and mode of administration as established by the German Commission E monograph and contains standardized Ginkgo Biloba extract powder from the highest grade whole leaves.The Ultimate Extract process makes our Ginkgo Biloba easier to digest and more available than plain herb powder, resulting in a premium supplement. Niacin (B-3) is used to lower blood cholesterol, triglycerides, poor circulation, stress, leg cramps, headaches and poor immunity. Usage: As a dietary supplement, take one capsule daily or as directed. For best results, take after meals. Please also see our other related links about circulation.